The Big Tent Ideas Festival brings together the popular literary festival format with the big challenges of contemporary politics. Following the success of our launch event in 2017 and Big Tent Ideas Festival 2018 in Cambridge, our non-partisan festival this year will be even bigger. We hope the Big Tent will launch a movement of change, reform, opportunity, empowerment, responsibility and a renewed sense of active citizenship. We do not claim to have all the answers, but we hope to at least ask the right questions. Of the right people. In the right forum. In the right spirit. No single political party has all of the answers. Nor can one individual, or local business, or city mayor bring about lasting change on their own. Renewing our communities requires all of us to work together. That’s why we’re so excited to tell you about our 2019 Big Tent Festival which will take place at London’s Mudchute City Farm on the Isle of Dogs, London. We are delighted to announce that this year’s Festival will be hosted in Mudchute, a community farm positioned next to the skyline of Canary Wharf. The beautiful view of both the surroundings and the skyline present a stark contrast that raises endless fascinating questions about the importance of what place, community, capitalism, and much more means to all of us. Big questions we will be discussing at the festival. 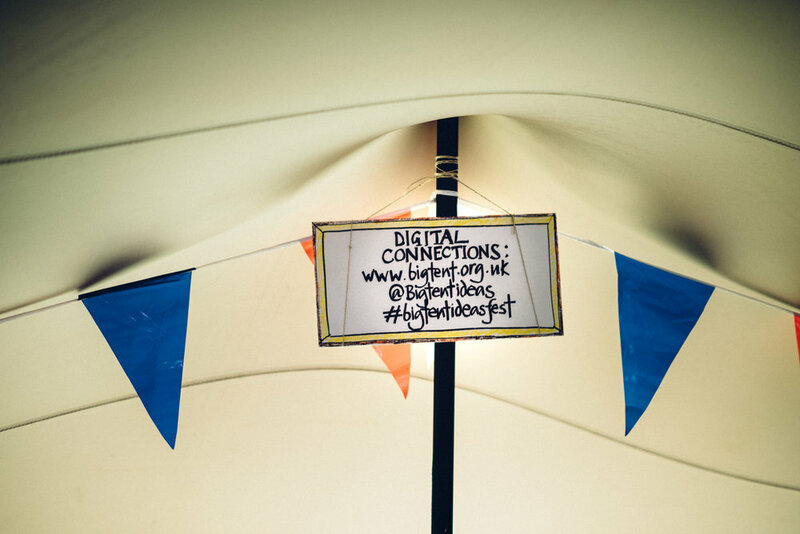 At Mudchute we’ll be bringing together politicians from all the main parties as well as leaders, thinkers and do’ers from business, civil society, academia, the media and from all corners of the UK to share ideas, debate and work together towards practical solutions. We really hope you will be able to come along and join the discussion. Please hold the date and we’ll be back in touch shortly with a great early bird ticket offer. In the meantime, you can follow us on @BigTentIdeas to keep in touch with our plans. We care about digital democracy. Get in touch and share your big ideas.